I am delighted to announce the commencement of the annual Scottish Friendly Super Saver Cup. It is with great pride that I can also reveal that I will be commentating on this year’s awards. As an ex-professional commentator with more than 40 years of experience talking about the beautiful game, it is an honour to be involved. Last year we awarded Sunderland’s Vito Mannone the best-value goalkeeper of the season. He made a save every 19 minutes, and each cost his club just £3,847, which was a stunning 96 per cent cheaper than the going rate for a keeper. This time we’re going one step further and introducing two new awards: Best Save of the Season and Best Champions League Saver. As a savings and investment provider, Scottish Friendly is rightly keen on the performance of football’s best savers. The hard work goalies put into saving under very tough conditions can be held up as example to us all. But it’s not just all about how many shots you save! We’ve looked a little deeper than that. Our highly prized Super Saver algorithm uncovers the goalies that have proven their ‘net’ worth to their clubs. Winners will have not only made sterling saves this season, but will have also been the most cost effective for their clubs. On 30th July we will be announcing all three of the winning goalkeepers over Twitter. If you want to follow the conversation we will be using the hashtag #supersavercup. 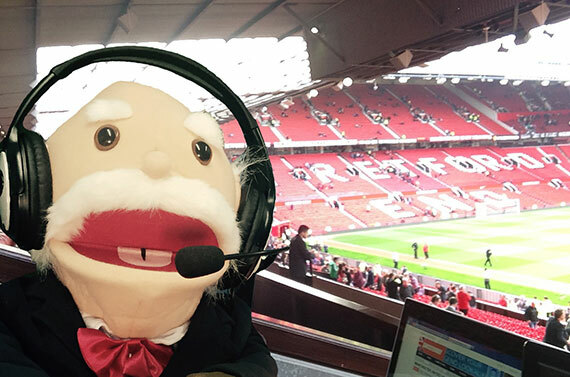 Meanwhile, I’ll be commentating on the latest transfer news from all over the UK and likely coming to a football ground near you. Keep an eye on the Scottish Friendly Twitter handle @scotfriendly with #supersavercup and you might just spot me!